← Lori Bowen’s ‘JustUs’: A Mangled Matters Review. Maude Michaud is celebrated as one of the brightest filmmakers on the independent scene, and for very good reason. One such reason is her short film RED. Cameron Hartl plays Dan, a deeply disturbed fellow who rents out the guest room of his home to women who have no idea Dan has a strong penchant for making his own snuff films. When a hypnotizing young woman named Lily (played fantastically by a woman with one name, Olga) is the next in line to take up residence in the guest room, Dan has no idea what to expect. Nor do we as an audience! RED is a wonderful blue print for any independent film to use when trying to figure out what their film should look like. Not only is the music (all original by Marc-Andre Huot) spliced and used perfectly throughout the fourteen minute-plus film, but the lighting and cinematography is top notch as well. A round of applause is very much deserved for Guillaume Carbonneau and Michelle Ayoub, the cinematographers and camera crew on this project. One scene in particular that features a cool cameo by Shannon Lark (a familiar name on this blog!) is nothing short of beautiful. The miming by Lily of Lark’s character on a projection screen is done masterfully. Another key piece to RED that I really loved was the dialogue between Dan and Olga as they discuss the power of cinema and film making. As time ran down on the length of the film, I honestly had no idea how RED was going to end. Calling it an unexpected ending is an understatement. Great special effects by Sebastien Montpetit really drove the climactic scene home. 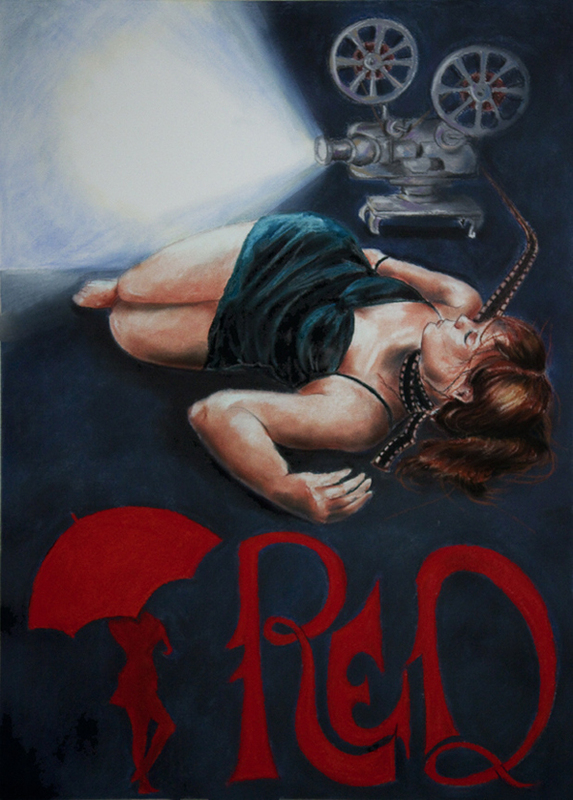 Just another shining example of independent film making in the horror genre, RED is one hell of a film. This entry was posted in horror, horror films, independent filmmaking, review, Women In Horror. Bookmark the permalink. 2 Responses to Maude Michaud’s ‘RED’: A Mangled Matters Review. Wow! Thank you so much for the great review! I’m glad you liked the film! 🙂 You ROCK!